or the Story of a Rewrite. 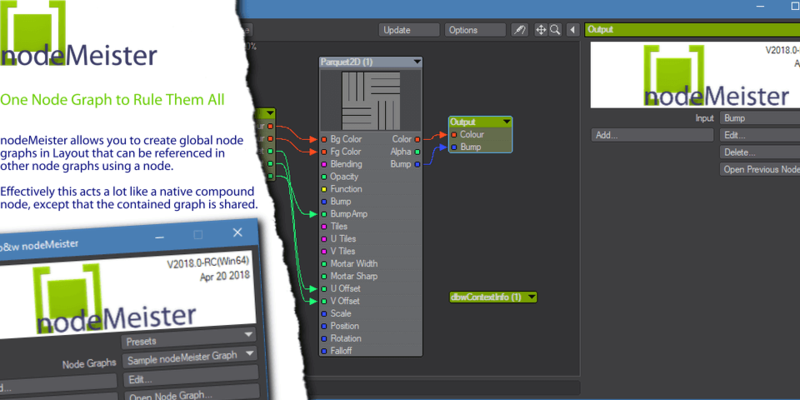 The Single Light Lambert node in our free collection of plugins was never designed to replace surface shading in LightWave, but to allow the control of other nodes depending on the lighting by one (or more lights). 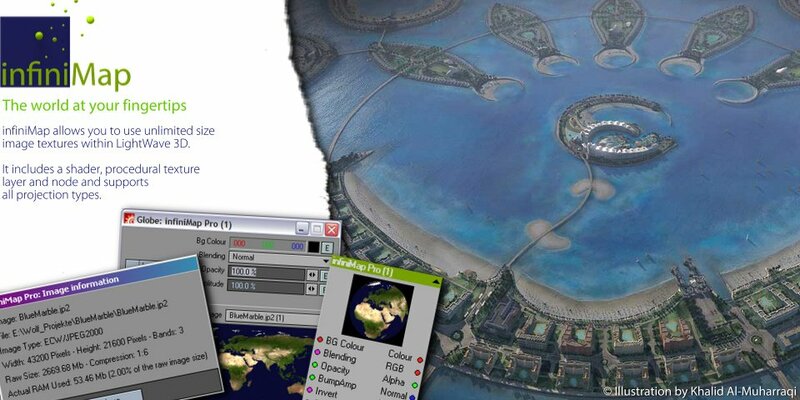 An simple example would be assigning two different images to a globe depending on wether it is lit by the sun or not. 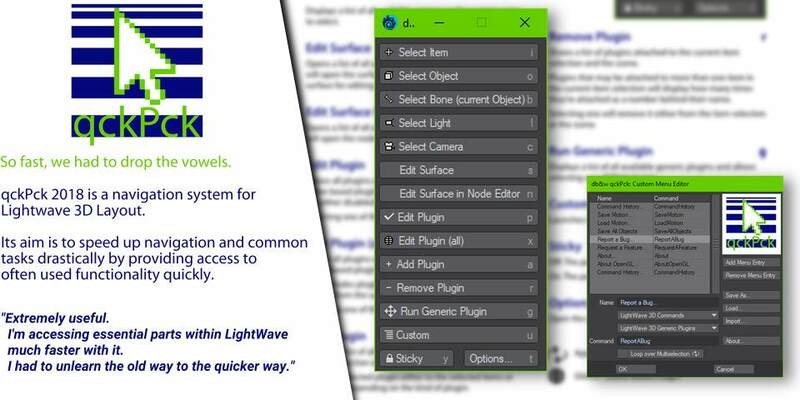 Given the (much needed) changes to lighting and shading in LightWave 2018, we initially used a function marked as "legacy" to get the node to work. Granted, it did work. But not when writing to a custom AOV - at least not in VPR - and it produced some odd results. 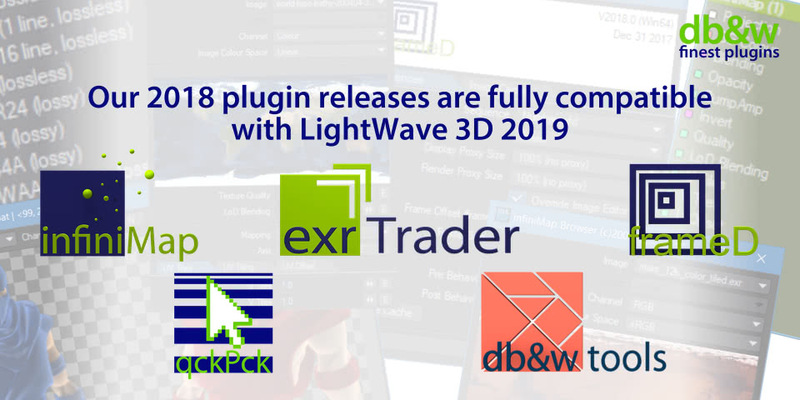 We have updated our range of plug-ins to fully work with LightWave 3D 2018. 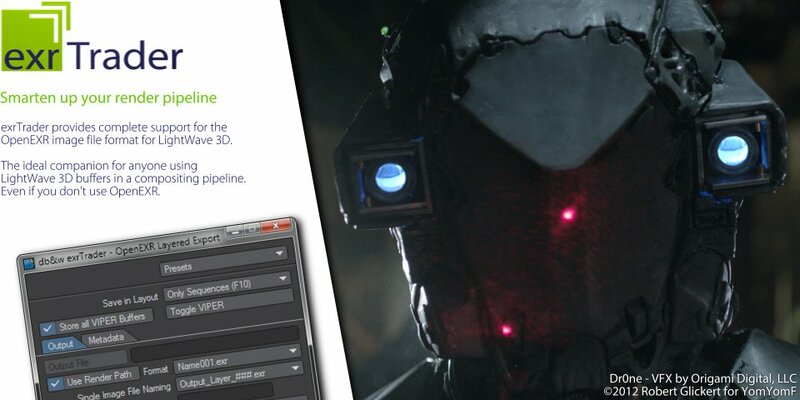 They will be released on the first of January 2018 - just in time for the update to LightWave 3D. 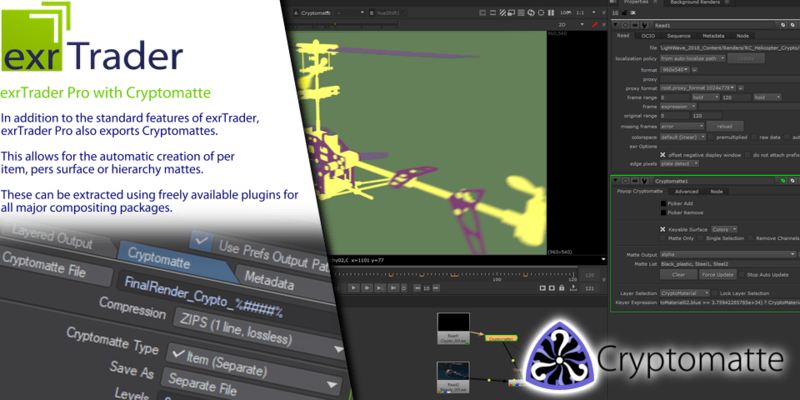 exrTrader 2018 has been updated to support the new buffers made available in LightWave 3D 2018, including custom AOVs. exrTrader supports the latest OpenEXR standard, including new compression methods. We have developed our own buffer viewer for exrTrader 2018.
infiniMap 2018 works as expected and has been updated to allow for the use of projection nodes as well. frameD 2018 has been updated and works as expected. shaderMeister is not supported anymore. 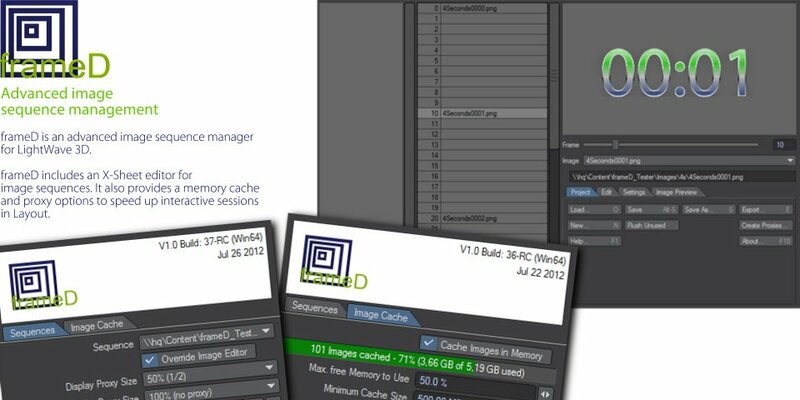 shaderMeister depends on the availability of shader plugins. These have been dropped for LightWave 3D 2018 and no hooks were added to allow for global shading. 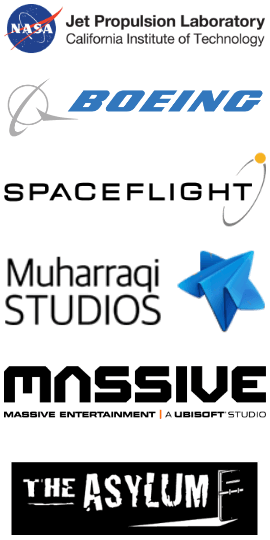 This, unfortunately, forces us to stop development of shaderMeister. 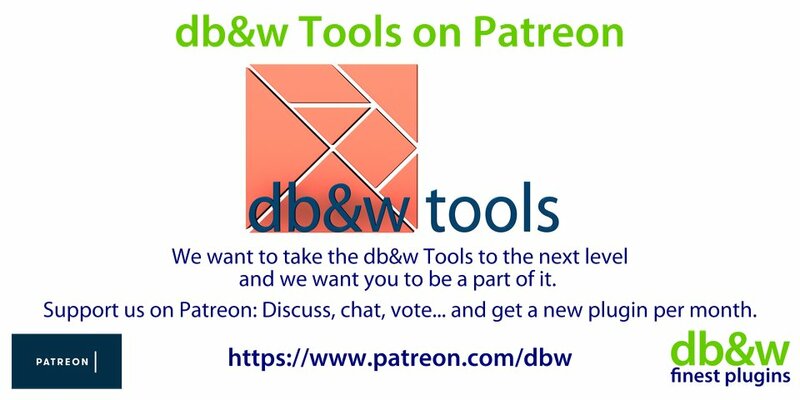 db&w Tools 2018 has been updated. Material related nodes have been removed/replaced, since the new shading system uses a very different (and more modern) concept for materials.